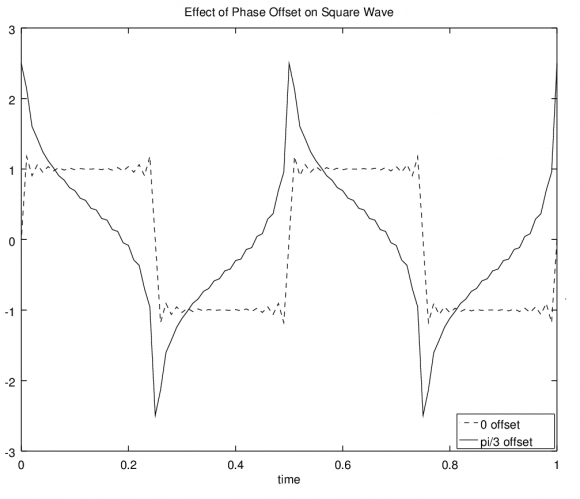 that guarantee linear phase behavior in the frequency domain? If you would like to know why the asymmetrical coefficients in Figure 1(a) yield a linear-phase FIR filter, please read on. Let's consider real-coefficient tapped-delay line FIR filters first, such as that shown in Figure 2. Figure 2: N-tap tapped-delay line FIR filter. Equation (1) tells us that if the sum of the products of the FIR filter's N-length $ h(n) $ real-valued coefficients times an N-length sine wave sequence, for all $ \omega $ in the range of $ - \pi \le \omega \le \pi $ radians/sample, is equal to zero then the real-coefficient filter will have a linear phase response. Variable $ D $ is the time delay through the filter measured in samples and the integer n index has the range $ 0 \le n \le N-1 $. So this reinforces what we already knew about FIR filters having real-valued coefficients. However, Eq. (1) does not help us explain how the complex-valued coefficients in Figure 1(a) yield a linear-phase filter. In trying to learn why the asymmetrical complex coefficients in Figure 1(a) produce a linear-phase filter I generated an expression similar to Eq. 1. For an N-tap FIR filter having complex coefficients in the form of $ h(n) = h_I(n) + jh_Q(n) $ my derivation, given in Appendix B of the downloadable PDF file associated with this blog, produced the following Eq. (3). So, Eq. (3) is the constraint on the coefficients that must be satisfied for an N-tap complex-coefficient FIR filter to have linear phase. Sadly, while studying Eq. (3), my limited analysis skills did not enable me to find an easier to understand expression for the constraint on the coefficients that must be satisfied for an N-tap complex-coefficient FIR filter to have linear phase. I wanted an expression that was as easy to understand as Eq. (2)! Fortunately there is a way to obtain the expression I wanted. where $ \beta $ is the phase of the complex filter at $ \omega = 0 $ radians (zero Hz), $ N $ is the number of filter taps, index variable $ n $ satisfies $ 0 \le n \le N-1 $, and the '$ * $' symbol means complex conjugate. The easy to understand Eq. (4) is the little-known constraint on the coefficients that must be satisfied for an N-tap complex-coefficient FIR filter to have linear phase! And happily, Eq. (4) also applies to real-coefficient FIR filters because in that case, since $ \beta = 0 $, Eq. (4) simplifies to our above Eq. (2). And, of course, Eq (4) is valid for both odd and even values of $ N $. Due to the popularity of complex FIR filtering in recent years, I believe Eq. (4) should be included in every new DSP textbook. Let the record show that I now formally nominate Eq. (4) as 'The Most Interesting FIR Filter Equation in the World'. The next thing I need to figure out is: When the complex-coefficients are quantized what effect does that have on a complex FIR filter's phase linearity. L. Rabiner and B. Gold, "The Theory and Application of Digital Signal Processing", Prentice Hall, Englewood Cliffs, New Jersey, 1975, pp. 78-79. A. Oppenheim, R. Schafer, and J. Buck, "Discrete-Time Signal Processing", 2nd Ed., Prentice Hall, Englewood Cliffs, New Jersey, 1999, Section 5.7.3, pp. 296-297. Have you analyzed the affects of quantization? I'm about to design a decimation filter for software-defined radio and I wanted to compare the performance of complex vs. real valued filters. A filter with complex coef. (as opposed to real) will require more computation but I am hoping this can be offset by an improvement in performance (require fewer taps). It has been a long while since I have learned about the linear phase property of a FIR filter. I ended up spending a couple hours reading Oppenheim & Schafer DSP book to refresh my memory. I would like to thank the author for the constraint for complex FIR filter. This is new to me and actually this is not mentioned in Oppenheim & Schafer DSP book. Yes, I agree that the complex-valued constraints should be added to our DSP text book. I also have the following comments. For the case where the FIR filter has real-valued cofficients, I think there are 4 constraints (the blog article only mentions 2 of the 4 constraints) on the FIR filter cofficients that will guarantee linear phase response. Type 1: h[n] = h[M - n] for 0 <= n <= M and M is even. This is the same as equation (2) in the blog article. Type 2: h[n] = h[M - n] for 0 <= n <= M and M is odd. This is the same as equation (2) in the blog article. Type 3: h[n] = -h[M - n] for 0 <= n <= M and M is even. Type 4: h[n] = -h[M - n] for 0 <= n <= M and M is odd. for an N-tap complex-coefficient FIR filter to have linear phase. I am not sure about the phrase "must be satisified". I think all the constraints that we can come up with are only sufficient conditions. These contstaints are not necessary conditions. Therefore it is possible to find a FIR filter (whether complex or real) having a linear phase frequency response but does not satisfy any constraint that we mention. I am guessing (not verify yet) that one way to create such a FIR filter is to take a FIR filter (that satisfies our constraint) and then do a fractional delay shift of this FIR filter impulse response. Just my guess. Thanks for your thoughts. Regarding your Comment 1, I purposely omitted your Type 3 and Type 4 constraints from my blog. Those constraints apply to digital differentiators and Hilbert transformers but they don't apply to what we traditionally call "FIR filters." but does not satisfy any constraint that we mention." Oppenheim's & Schafer's 3rd edition does mention the notion of lowpass filter having linear phase but whose real-valued impulse response is NOT symmetrical. However, that filter's impulse response must be infinite in length (infinite time-duration), and therefore is not an FIR filter. Regarding comment 2, is the following statement correct? All complex-valued FIR filter having constant group delay must satisfy Equation 4. So I agree with that. However, the reverse may not be true, i.e. is the following true? I cannot say that: all tapped-delay line (convolutional) FIR filters having linear phase must satisfy Equation 4. cykhung, if you know of a linear phase tapped-delay line FIR filter that does not satisfy Equation 4 I am very interested in learning about it. Game On. Let start the search !!!! 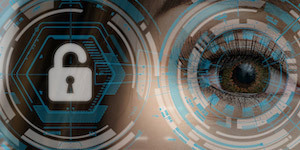 A very good article from Rick as always. I think it was very smart to allow the phase response of the FIR filter at zero frequency to be non-zero. It is that constraint which really forces the filter coefficients to be symmetric. Nice article so far! I'm not done reading it yet. I was very interested to see your derivation of equation 1 and so had downloaded the PDF which has that derivation in Appendix A and I see a small error where you state, "To help make you comfortable with Eq. (A-5), both sides of that equation are equal to tan(dw)." Well, tan = sin/cos, not cos/sin. Ah, you are correct. I inadvertently inverted my Eq. (A-5). Nice catch Randy. I will send a corrected PDF file to the web master Stephane Boucher. 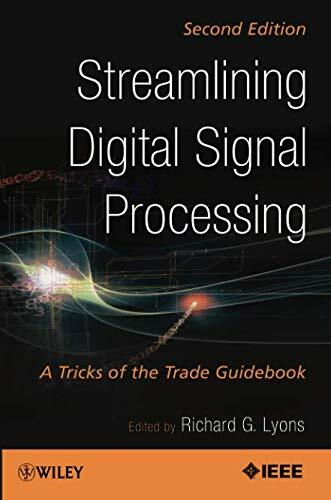 First I want to say that I liked your book ;"Understanding Digital Signal Processing" so much that I used it to teach DSP to practicing engineers. Good job! Comment 1 - I think your equation 4) would yield more insight if you multiplied each side by exp(-jB). If you then express the filter coefficients in polar form (rather than the usual rectangular) you can see that these rotated coefficients (rotated by -B) are complex conjugates. Comment 2 - While I agree that that multiplying the coefficients by the exp(-jB) term allows for constant group delay, it does not give constant time delay except when B=0. (Time delay is phase/frequency.) The only reason I have used linear phase filters is to keep all the frequency components time aligned. Is there any other reason that I am missing? Comment 3 - With regard to quantized coefficients: As noted in comment 1, the coefficients are complex conjugates so that even with quantized coefficients there is no phase error. We would use the same table value for each of the conjugate terms. Of course, the magnitude response of the filter would be affected by the coefficient errors. 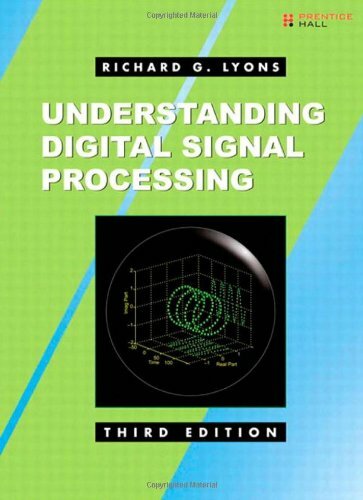 Thanks for your kind words regarding my "Understanding DSP" book. "I appreciate them. Regarding your 'Comment 1': Yes, you are correct. The sequence h(n)exp(-jBeta) is conjugate symmetric. Regarding your 'Comment 2': I view the notion of group delay to be equivalent to "time delay". I say that because the dimension of a group delay value is time measured in seconds. Sometimes people measure group delay in "samples", but in that case a "sample" is an interval in time equal the reciprocal of the Fs sample rate measured in seconds. John_G, if you and I have a disagreement here I'll bet it's a semantics problem rather than a disagreement regarding fundamental signal theory. Regarding your 'Comment 3': The h(n) coefficients in my Equation (4) do not exhibit any sort of conjugate symmetry. In my software modeling no 'real or 'imaginary' numerical value of any single coefficient is equal to the 'real or 'imaginary' numerical value of any other coefficient. 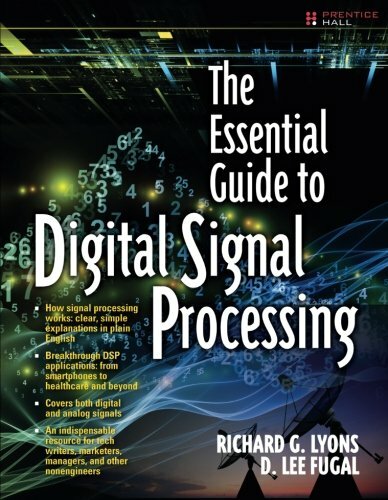 John_G, if you'd like the errata to your copy of my "Understanding DSP" book" you're welcome to send me a private e-mail at: R_dot_Lyons_at_ieee_dot_org. Perhaps I should start by saying that I have spent much of my career (now retired) involved with analog and digital communication where group delay and time delay are very important. I hope I can demonstrate that they are not the same thing. So for "linear" phase = -aw-b, the group delay = a and phase delay = a + b/w. Now for narrow-band bandpass filters, b/w is insignificant and so phase and group delay are the same. However, for low pass filters the b/w term blows up as w->0 and so the time delay is not constant. To demonstrate this distortion I wrote an Octave program simulating the effect of low pass filtering a digital stream with b=0 and b=pi/3. As you can see there is severe distortion when b=pi/3 that would increase the BER. So this is why I question why anyone would want a linear phase filter whose phase does not go through the origin. Hi John. Please forgive my delayed reply to your Oct. 19 post. Looking at your two waveforms, you generated a signal that's the sum of odd harmonics (with decreasing peak amplitudes as the frequency is increased), each with an initial phase of zero radians to generate a square-wave. Then you generated a signal that's the sum of odd harmonics (with decreasing peak amplitudes as the frequency is increased), each with an initial phase of $\pi/2$ radians to generate an "oddball-wave." I'm not sure what to make of those two waveforms. Should I interpret the square-wave to be the input to a system and the oddball-wave to be the system's output? I'm not sure what that oddball-wave is telling me. You wrote, " I question why anyone would want a linear phase filter whose phase does not go through the origin." I don't think anyone sits down and decides to design a linear-phase filter whose phase does not go through the origin. The point of my blog was to answer a question that had been "bugging" me for years, that is, "How can a complex-coefficient FIR filter have linear phase when neither the real or imaginary parts of its coefficients are symmetrical?" What I learned was that any complex-valued $h(n)$ set of coefficients that satisfy my above Eq. (4) will have linear phase. And those complex-coefficient FIR filters (at least all the ones I've encountered) have a phase response that is not equal to zero at zero Hz.